Well, hello there, loves! 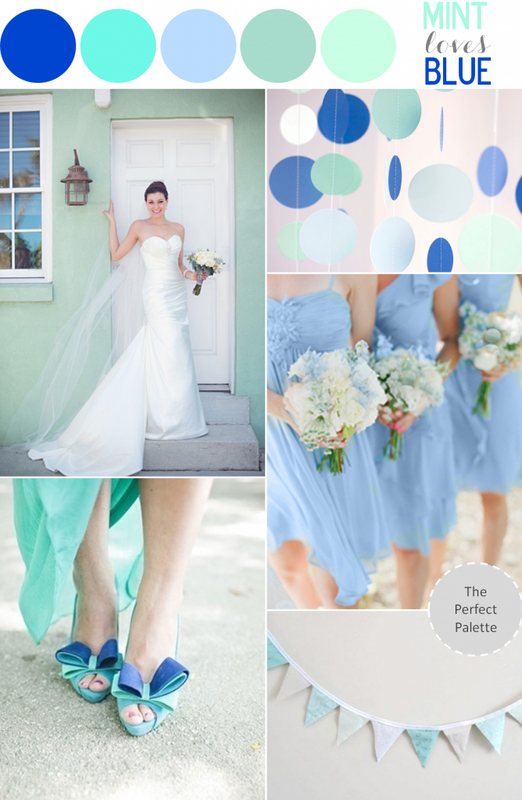 So today my color obsession continues with this pretty palette of shades of blue and mint! Now, if I had to give out an award for my ''favorite color of the year.'' Mint would definitely win it! Add in a mix of blue and green tones and you'll have a palette that's party ready! That's because these colors are just full of fun possibilities. Wouldn't you agree? I really like how these mint and aqua tones are working with these beautiful shades of blue. It's a mix of happy hues that I just can't seem to look away from! For this palette, I made sure to include all the party essentials! You know... confetti garland, beautiful bunting, and the sweetest bow heels I've ever seen! So what do you think? Are you liking these cool tones? 23 Comments " Color Story | Mint Loves Blue "
A little tiffany's, a little something blue... simply perfect together. Those blue dresses! And those shoes! Lovely! I've never imagined this color combination but it's positively dreamy! Mint is definitely the color of the year but never thought to pair it with blues or green surprisingly! Great idea. the mint blue is gorgeous and i love the shade of those bridesmaids dresses. those heels are killer too! Cool and sweet and just irresistibly appealing are what this palette is! Amazing! I love these colors and they go great together! You're speaking my language lady with that gorgeous mint! This is absolutely gorgeous! Im a fan!!! Oh wow ;) I really like this one! I might die over those shoes! LOVE this palette! Absolutely knocked it out of the park once again! So glad everyone likes the shoes too! It was one of my favorite weddings to feature!